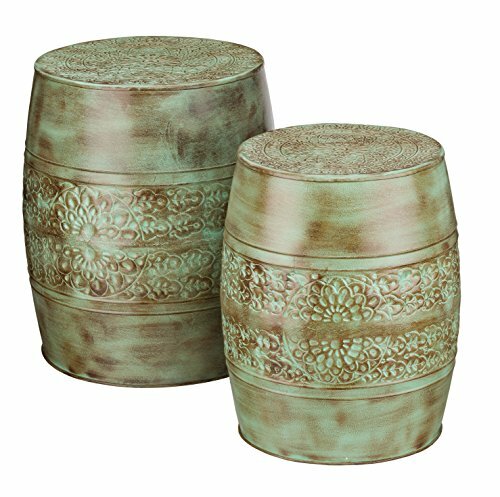 Regal Art & Gift Garden Stool Set/2 - Patina Flower 20187Our durable weather-resistant Garden Stools function as both stools and tables to make them exceptionally useful for your social gatherings. Available in copper, bronze, patina and a silver antique finish and intricate designs make them a must have for your home or garden. Each available in two sizes.